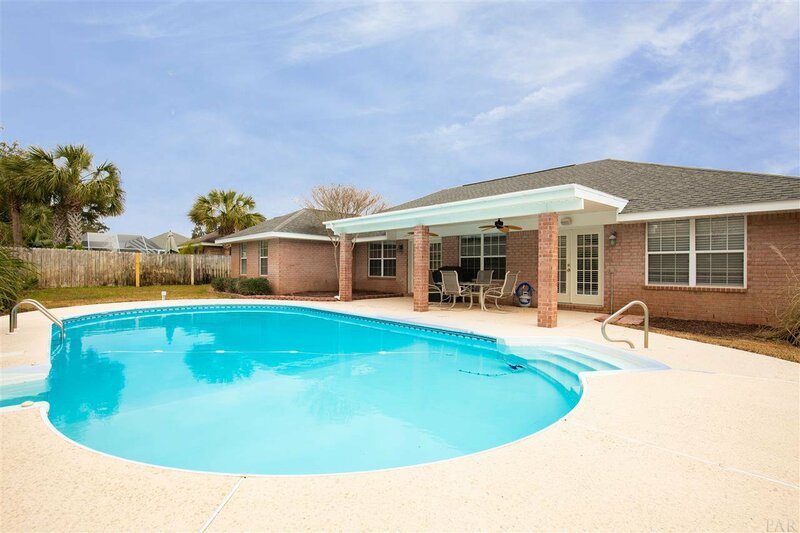 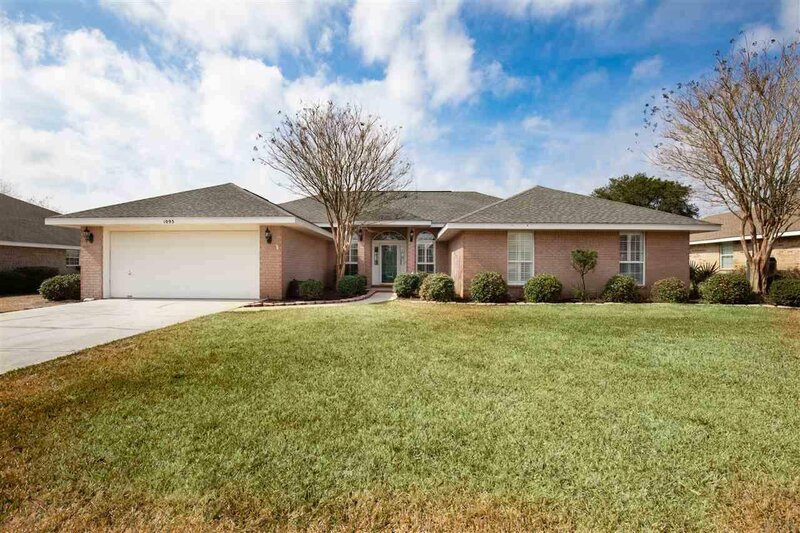 Great location and the right price say it all about this brick four bedroom/two bath home in Crane Cove. 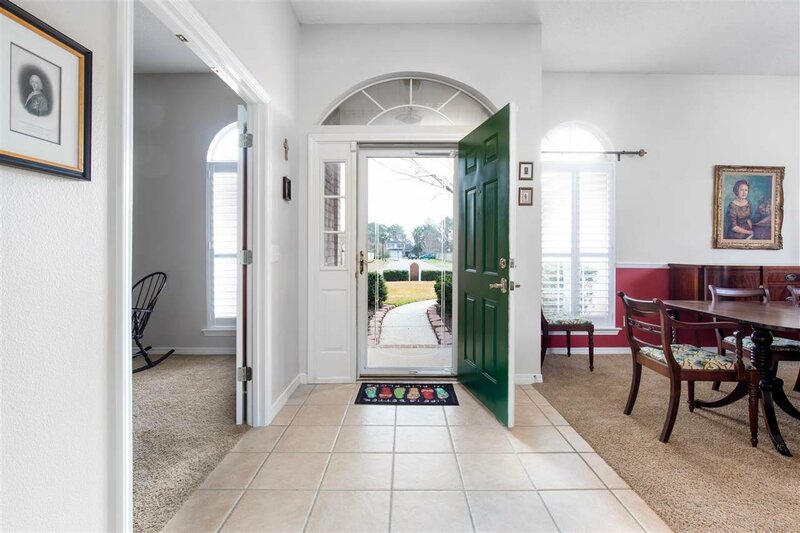 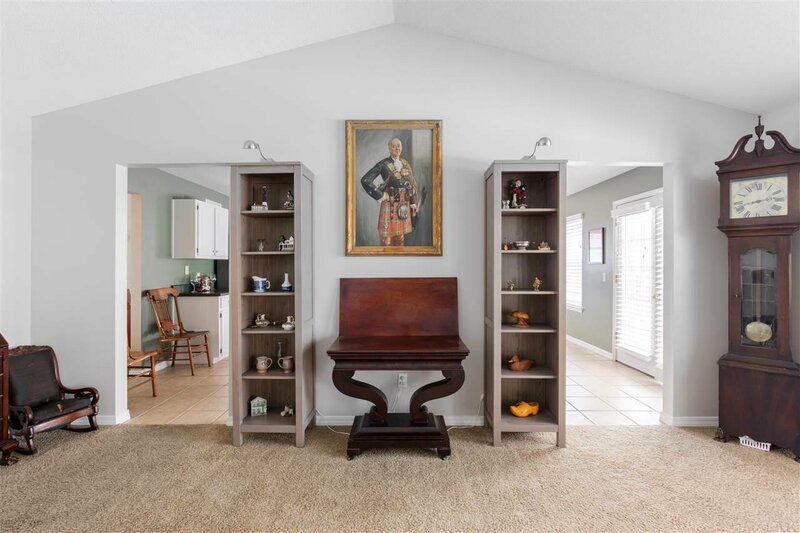 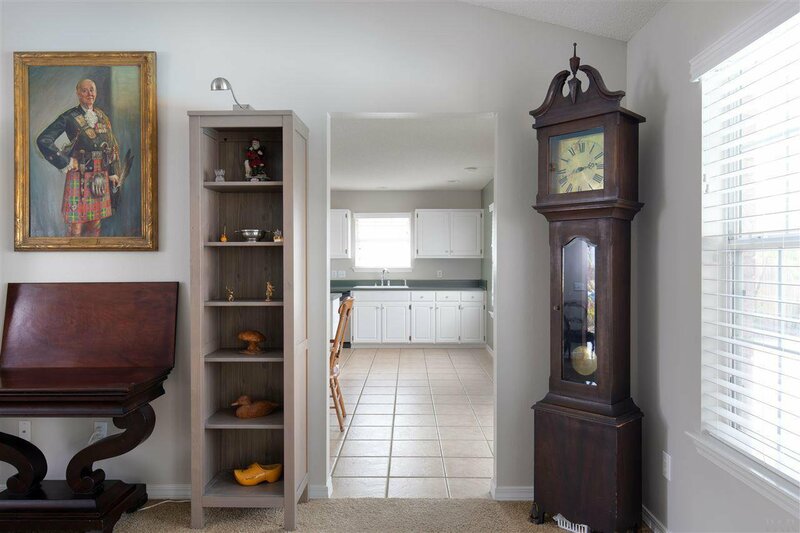 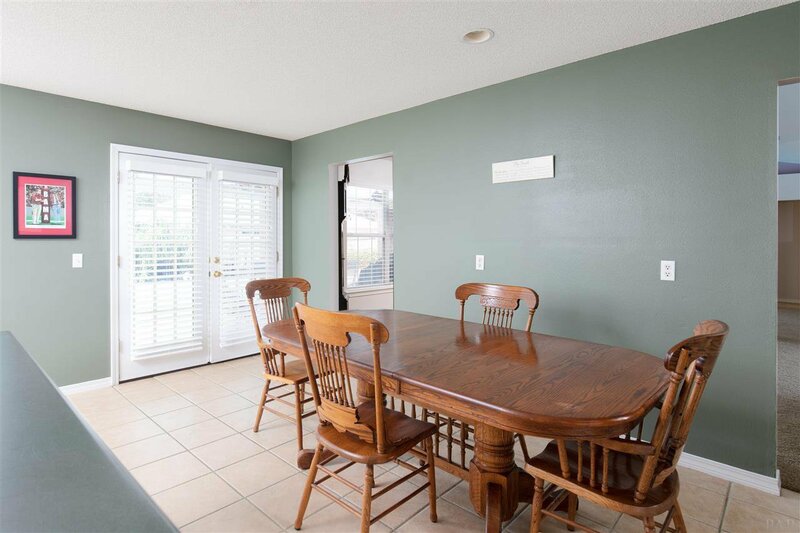 The spacious floor plan features 10' ceilings in the foyer, dining room and study, tile and carpet throughout, lots of windows and attractive landscaping. 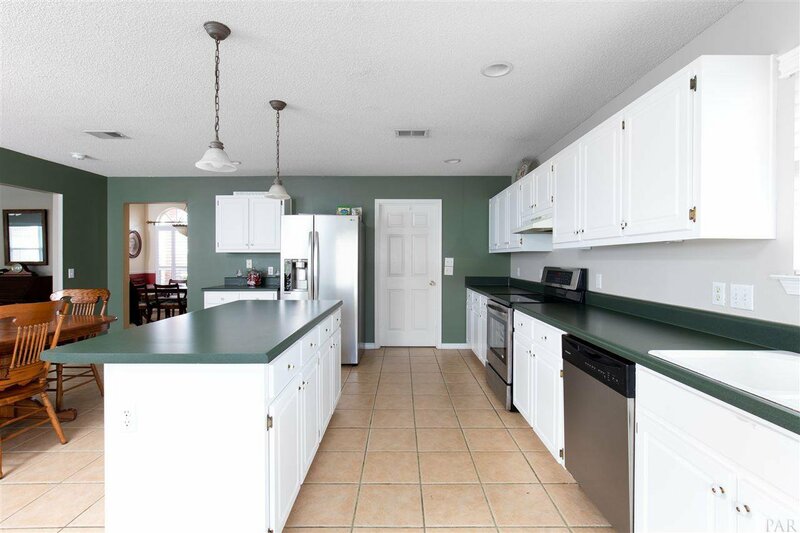 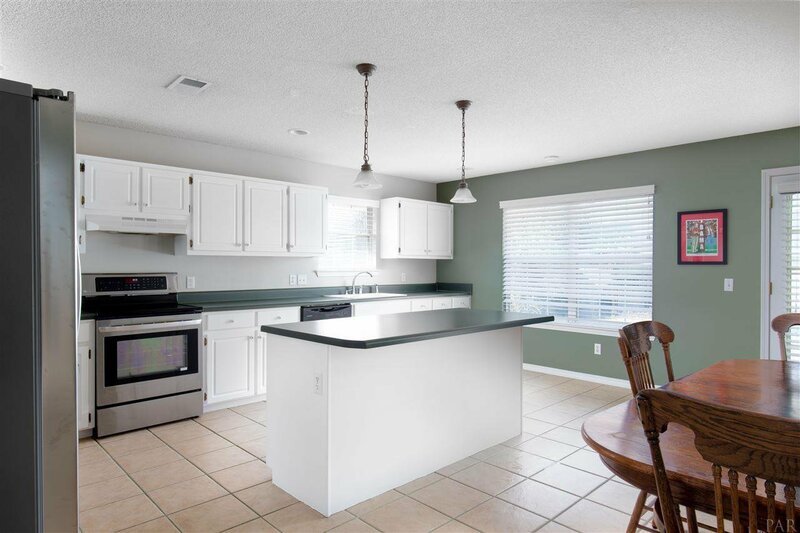 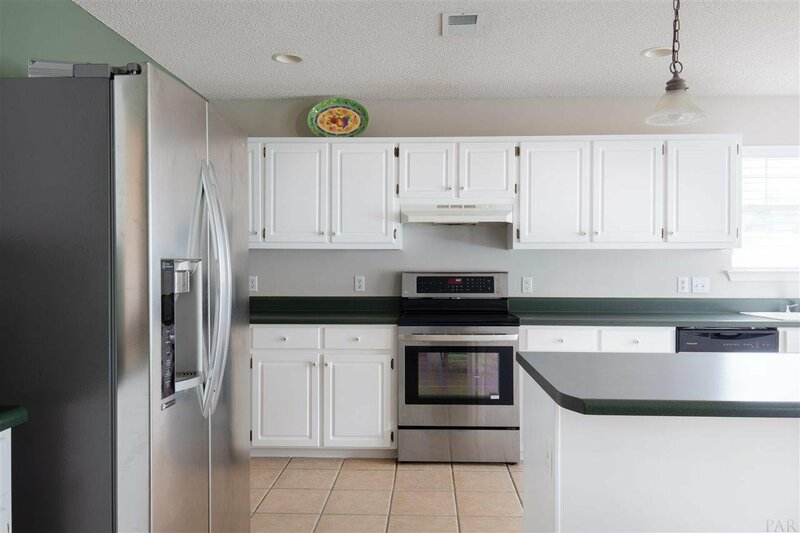 The oversized kitchen has extensive cabinets, a large island with additional storage space below and a terrific view from the breakfast area to the covered patio and pool. 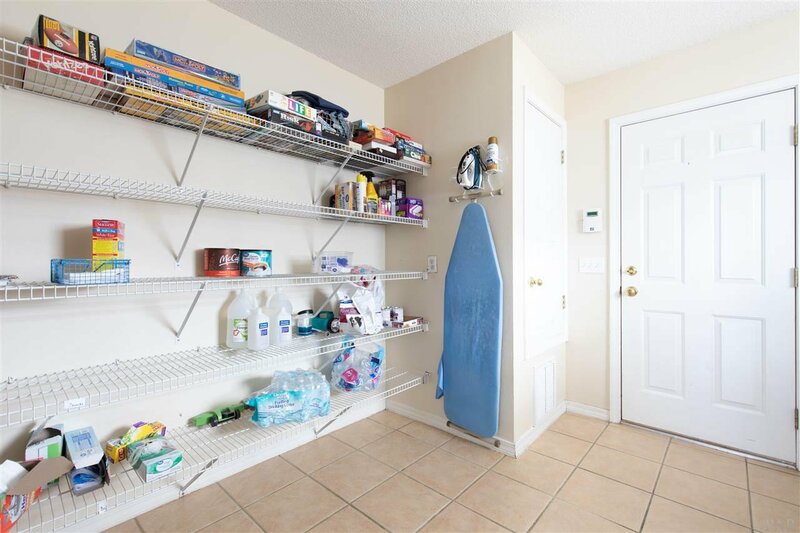 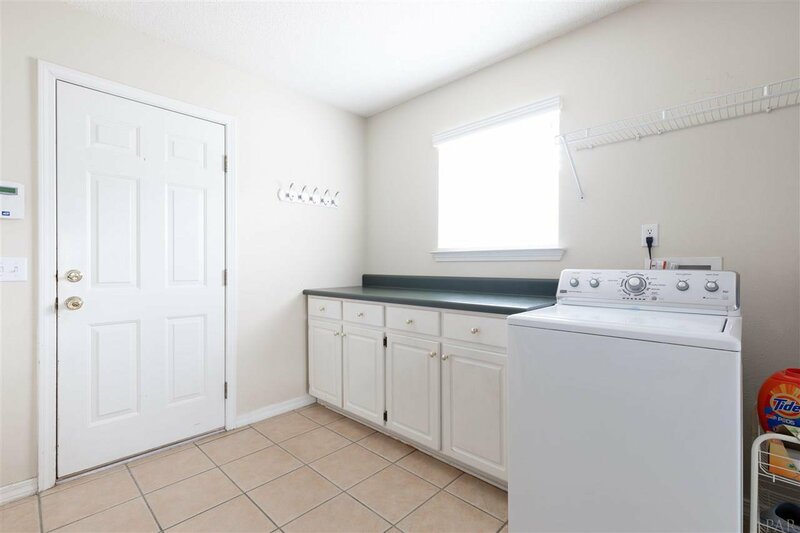 The oversized laundry room/pantry off the kitchen has shelving, cabinets, both low and high, and a large area for the washer and dryer. 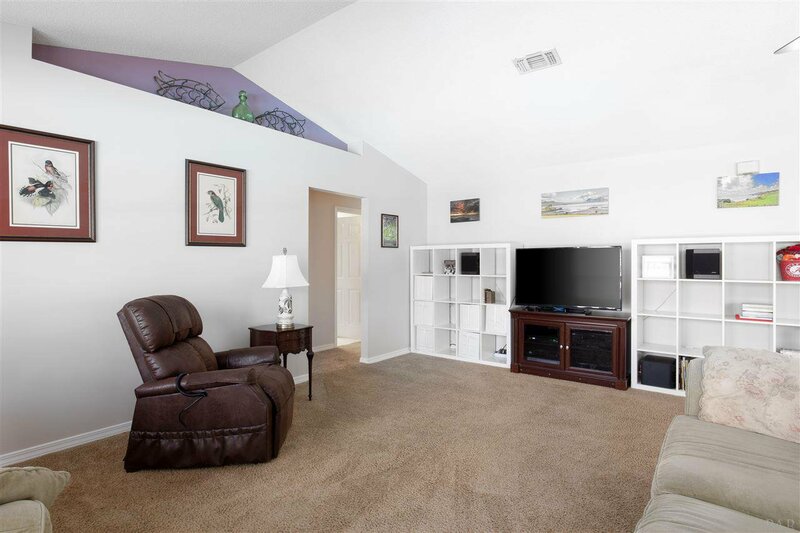 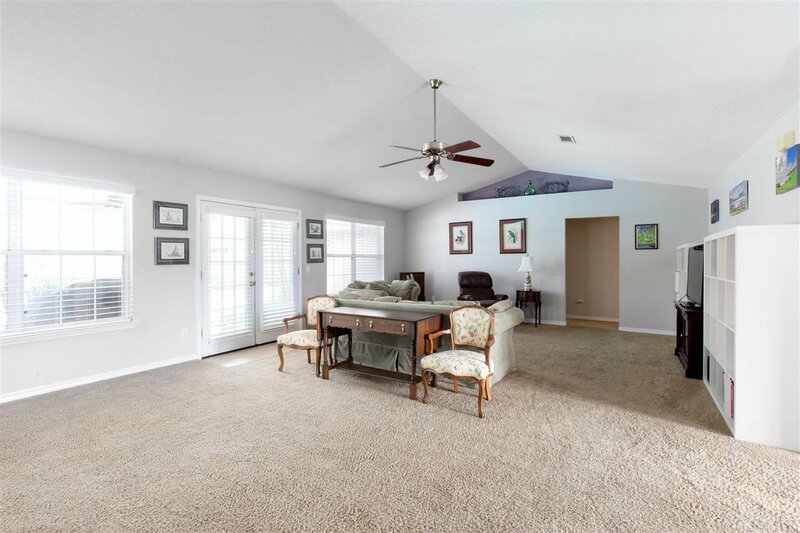 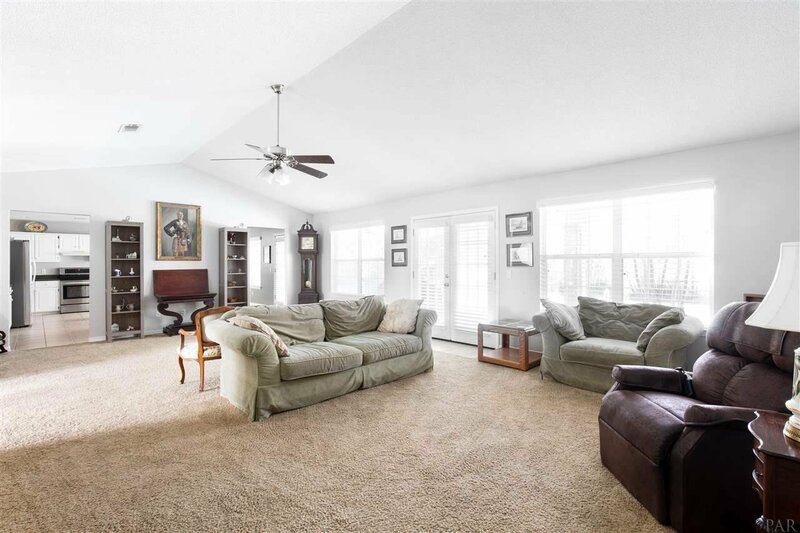 The vaulted ceiling in the great room adds to the spacious feel, has a wall of windows for a light and bright feel, neutral paint and carpet color and wall space for a large tv. 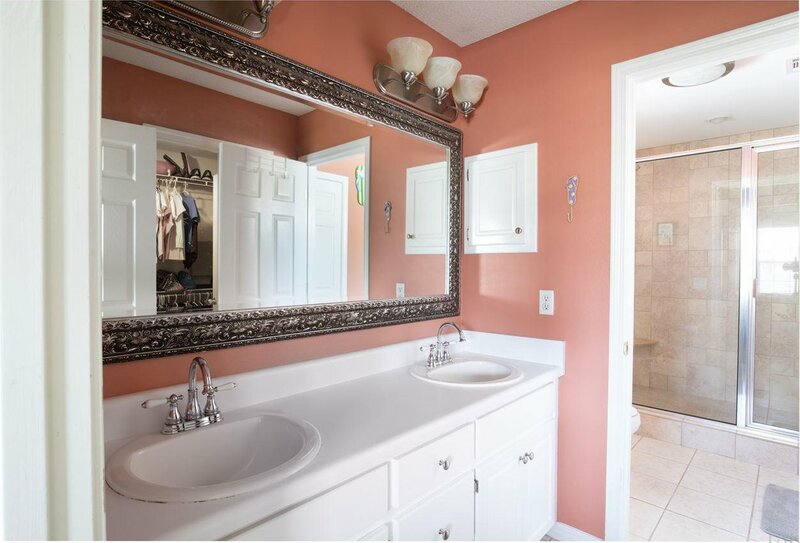 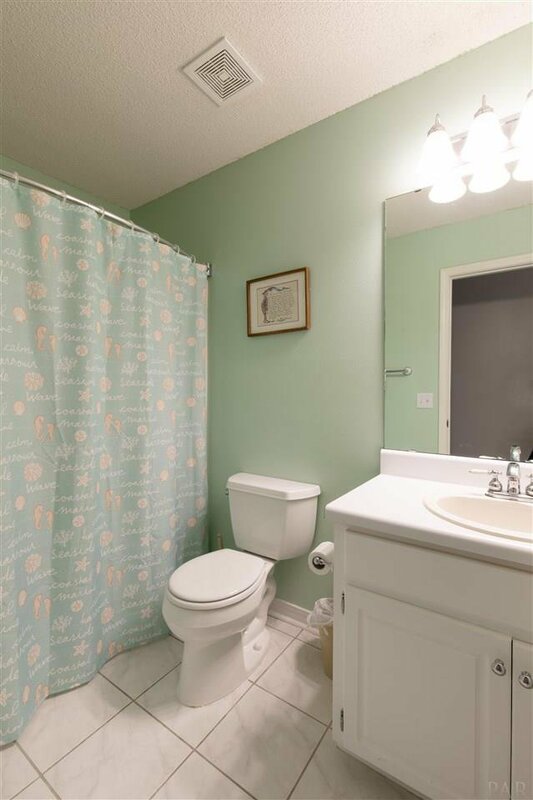 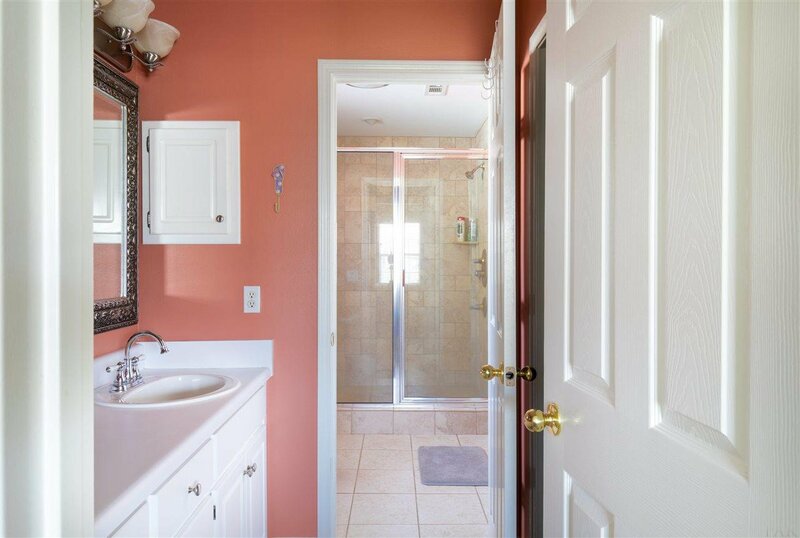 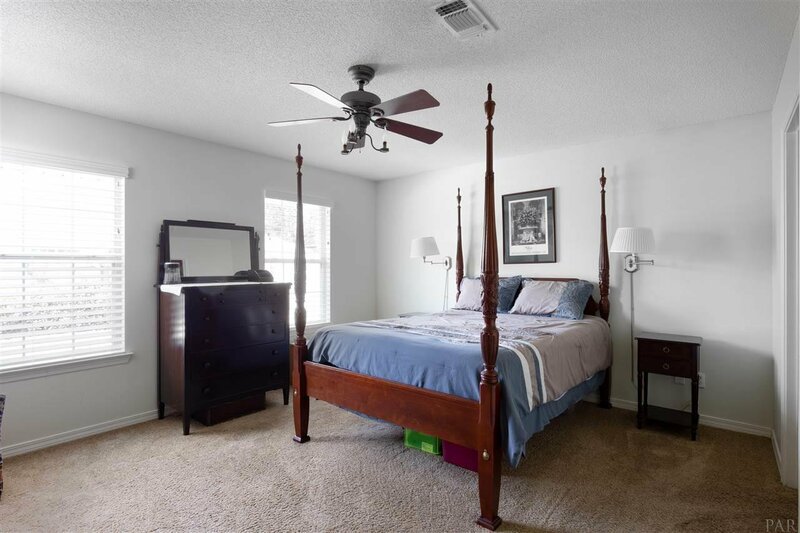 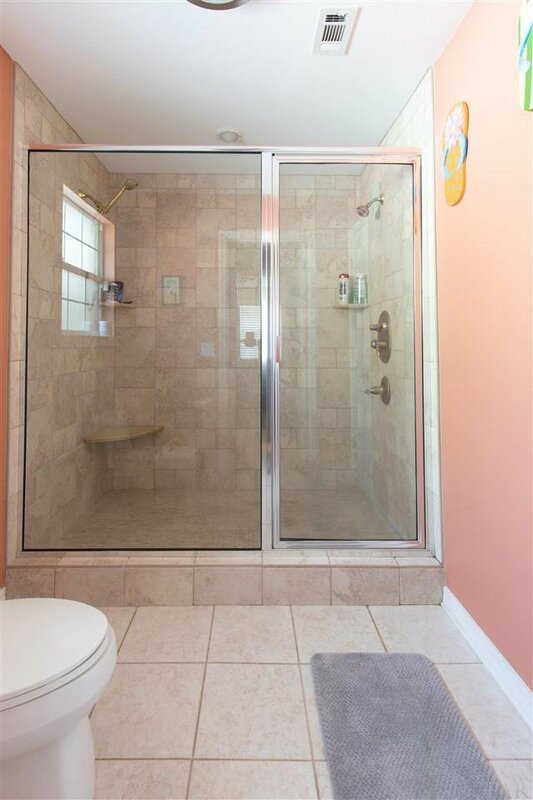 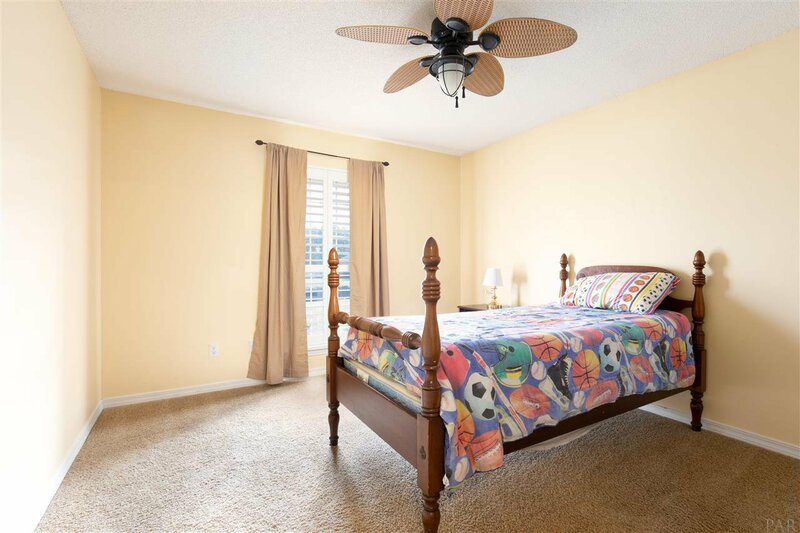 The master bedroom has a large master bath with oversized custom tile shower, walk in closet and separate vanities. 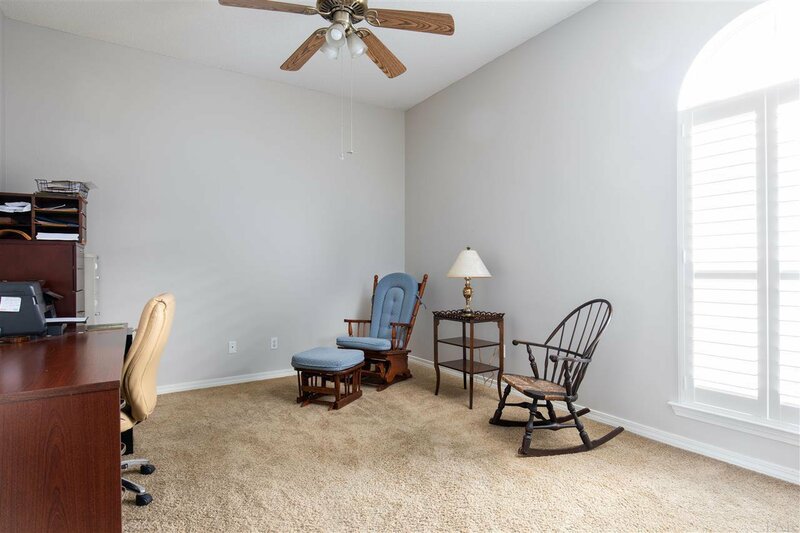 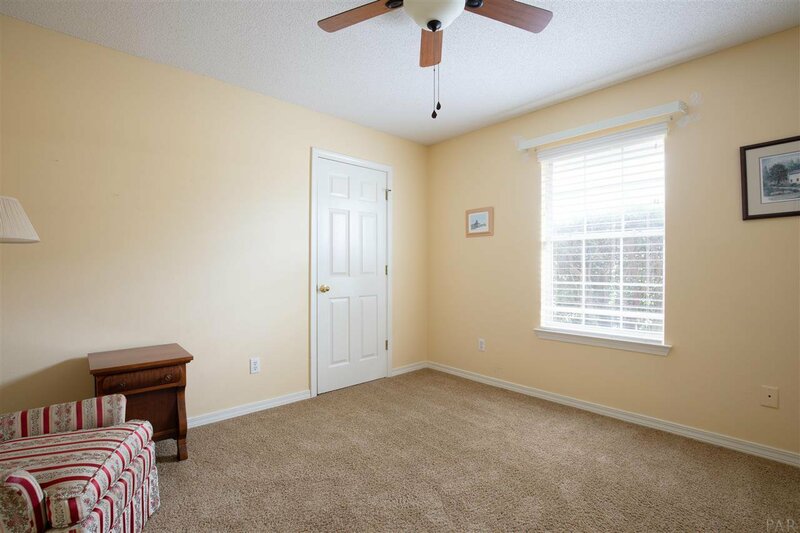 The three additional bedrooms have good window lighting, nice sized closets and access the second full bath. 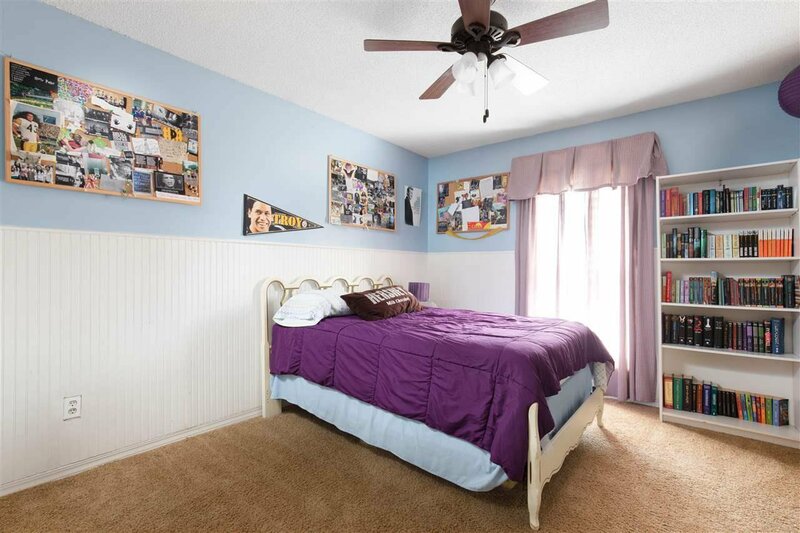 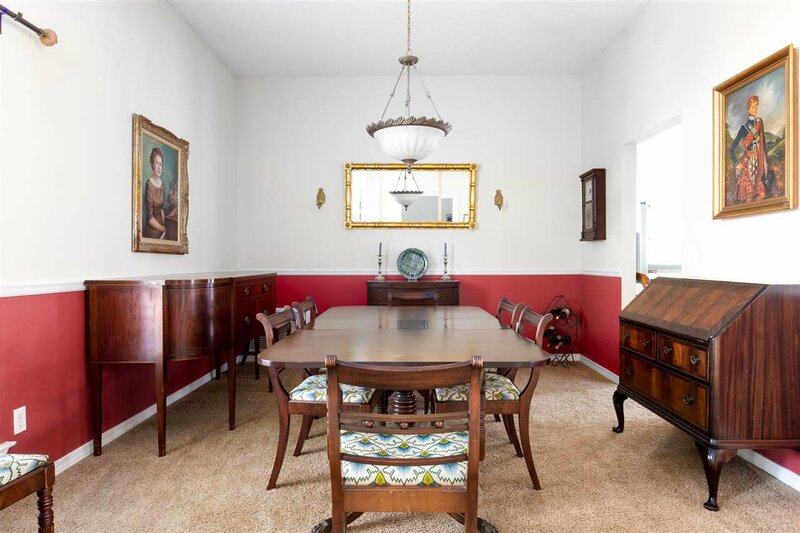 The house is beautifully maintained and lives big in a family friendly neighborhood, close to the theater, and shopping.